Very professional, and they do a very good job. They are very thorough and experienced. They are very experienced in the field that they bid on. They are willing to go out of their way to make things easy for me. They were willing to go the extra mile. They are very personable, and they get right on the job. There is good customer service and nice employees. 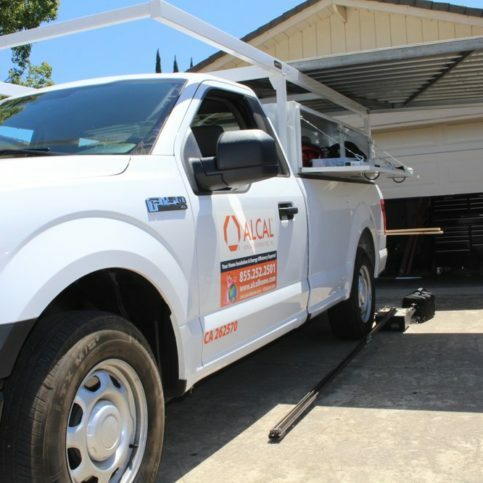 Alcal Specialty Contracting, Inc. installs and removes insulation, replaces garage doors, airseals attics, and provides other energy efficiency solutions for residential and commercial clients throughout Northern and Southern California. In addition to offering services and products that are designed to increase indoor comfort and reduce the year-round costs associated with heating and cooling, the familyowned and operated company is qualified to perform roofing and waterproofing work, install fireplaces and decorative mantels, and more. DIAMOND CERTIFIED RESEARCHED CAPABILITIES ON Alcal Specialty Contracting, Inc.
Company Name: Alcal Specialty Contracting, Inc.
DIAMOND CERTIFIED RESEARCHED ARTICLES ON Alcal Specialty Contracting, Inc.
An Alcal Specialty Contracting technician installs new insulation in a customer’s attic. 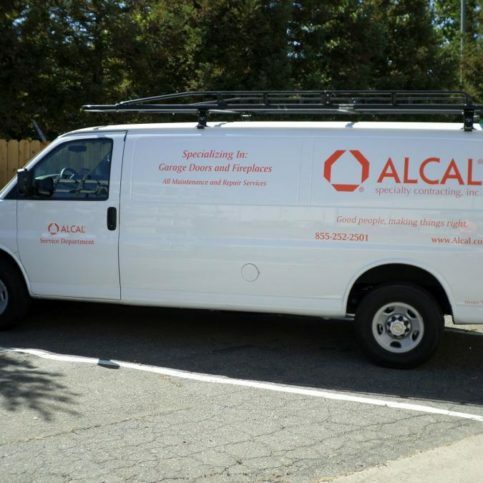 Alcal Specialty Contracting offers services and products that are designed to increase indoor comfort and reduce the year-round costs associated with heating and cooling, including insulation installation and removal, garage door replacement, and attic air-sealing. The family-owned and operated company is also qualified to perform roofing and waterproofing work, install fireplaces and decorative mantels, and more. A: We can usually schedule the first visit within one to five days of your initial call, depending on our schedule and your availability. 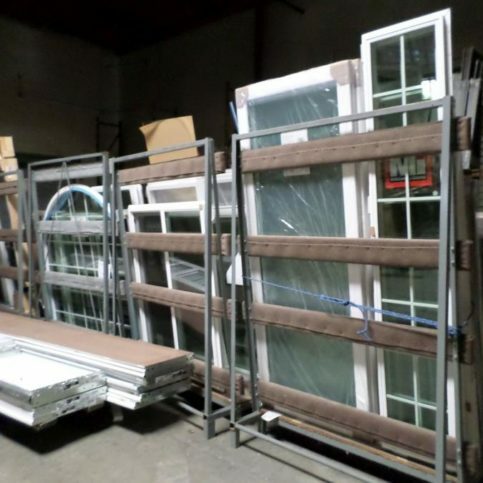 Once we do the initial evaluation and estimate, we’ll schedule your job to start one to five days later. Q: How long will it take to install my new insulation? A: For attic insulation, it can take anywhere from four to eight hours depending on the size of your house. Sometimes it can be as quick as one or two hours. Either way, we’ll give you a time estimate when we do our initial site visit. 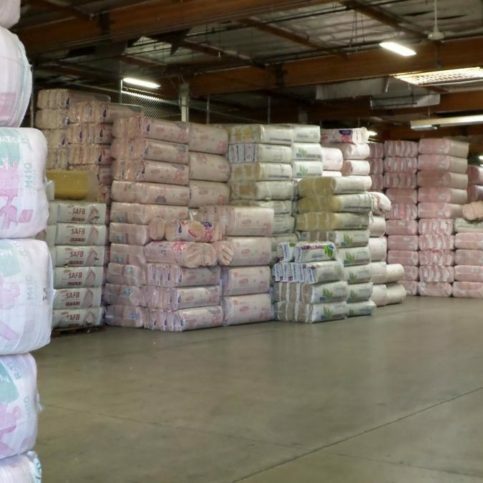 Q: What types of insulation products do you sell? 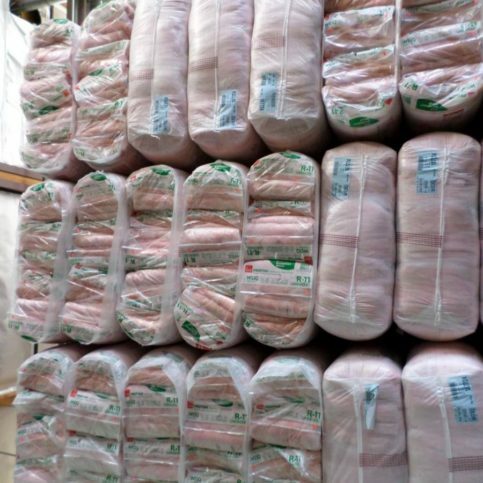 A: We primarily sell fiberglass insulation made by Owens Corning, including rolled batt insulation and loose fill blow-in insulation. 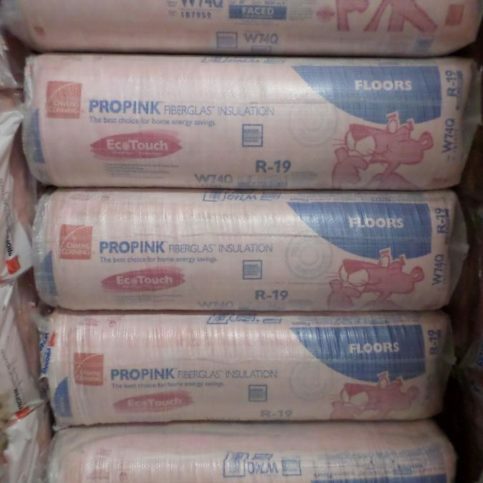 This type of insulation is a Green-Rated 60 percent post-consumer recycled product, which means it doesn’t contain formaldehyde or borates, which can be endocrine disrupters in some environments. 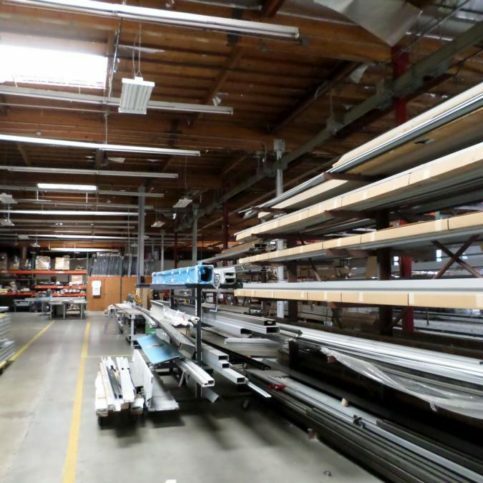 Our sales team has in-depth knowledge of all the products we sell, and they can provide you with the information you need. 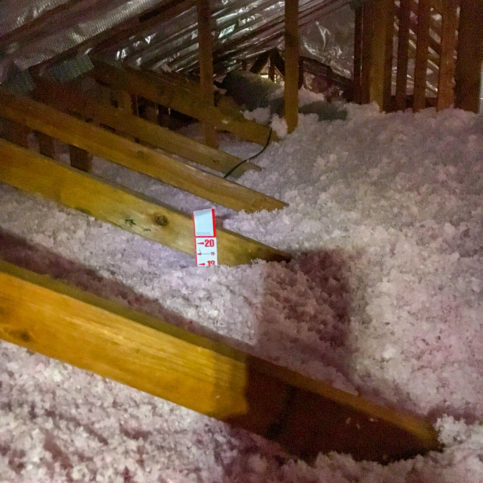 Q: How much money will I save by installing new insulation in my attic? A: That depends on what’s already in your attic. Your energy savings will be greater if you upgrade from low levels of insulation to a high-rated insulation, but if your home already has good insulation and your energy bills are still high, that can indicate another problem area where energy is being lost. 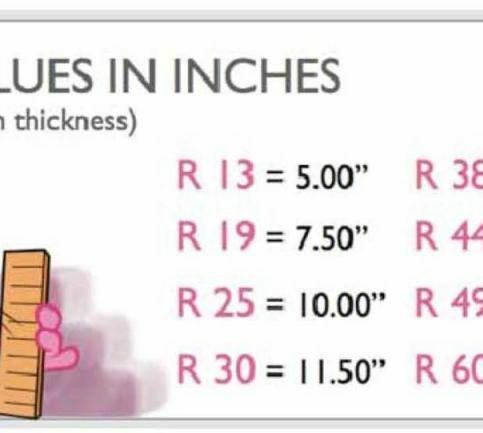 We’ll come to your home and do a complete assessment to give you an idea of how much money you’ll save by installing new insulation. Q: Is the insulation installation process messy? A: It can be a little messy, but we clean up as we go along, and we always leave our customers’ homes cleaner than they were when we arrived. 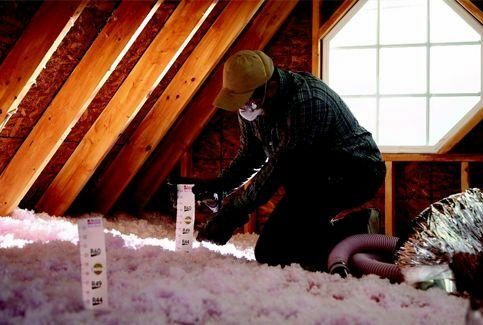 SELECTED PHOTOS FROM Alcal Specialty Contracting, Inc.
An Alcal Specialty Contracting employee installs Owens Corning L77 loose-fill insulation in an attic. An Alcal Specialty Contracting employee works on an unfaced batt insulation project. 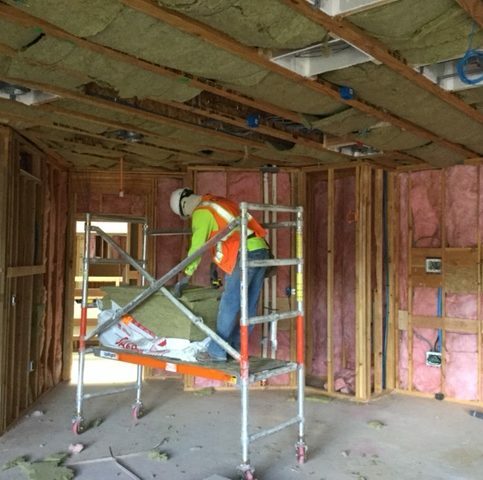 An Alcal Specialty Contracting employee installs unfaced batt insulation in a new home. 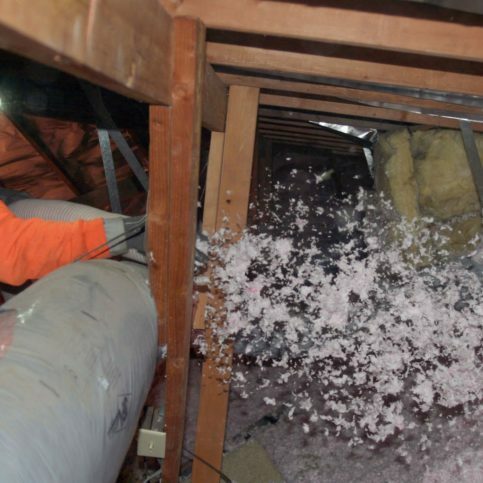 An Alcal Specialty Contracting employee installs Johns Manville Climate Pro® loose-fill insulation in an attic. 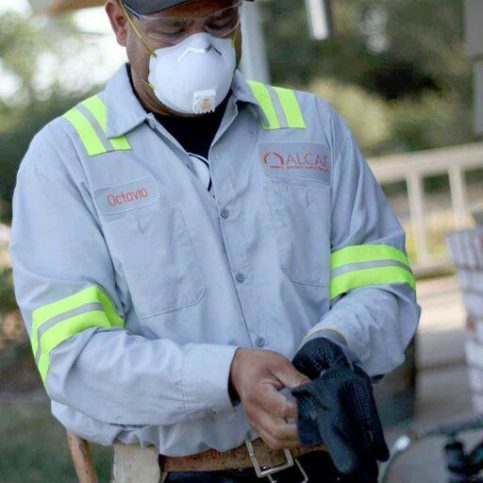 An Alcal Specialty Contracting employee puts on his personal protective equipment (PPE). 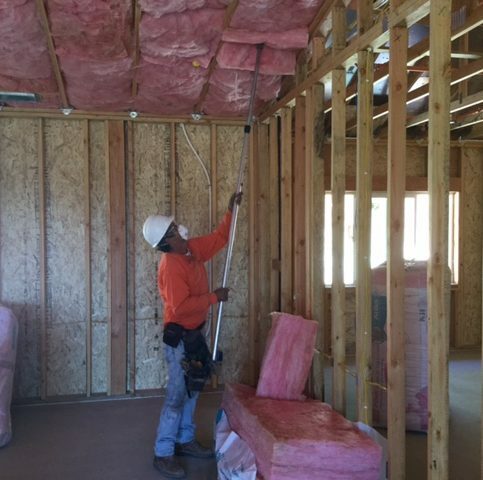 An Alcal Specialty Contracting employee installs batt insulation between floors in a new home. 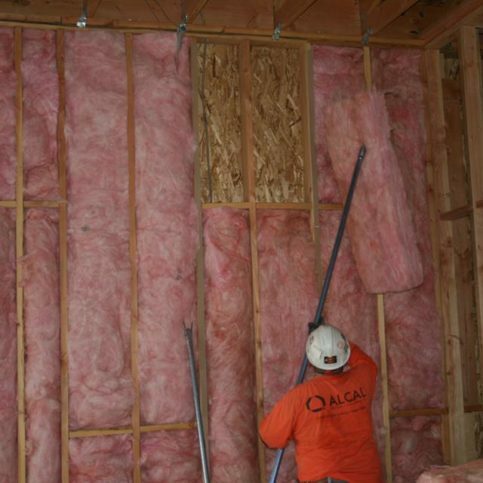 An Alcal Specialty Contracting employee installs insulation in a new residential home. 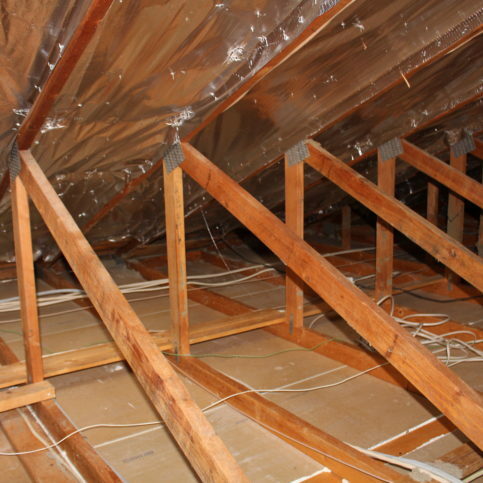 This attic features newly installed insulation and radiant barrier foil. 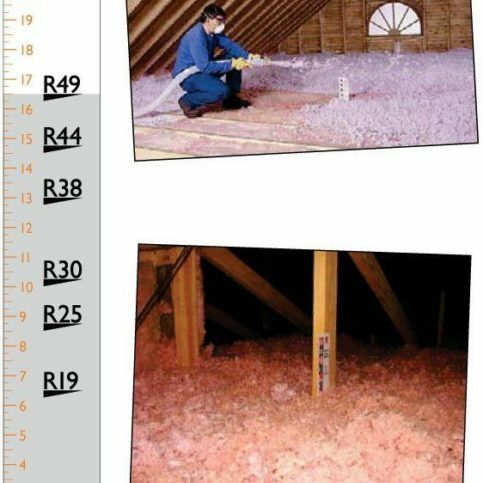 The attic floor is filled to an R-value of R-49, which provides optimal energy efficiency at 16.75 inches. Alcal Specialty Contracting installed this radiant barrier foil in a residential attic. 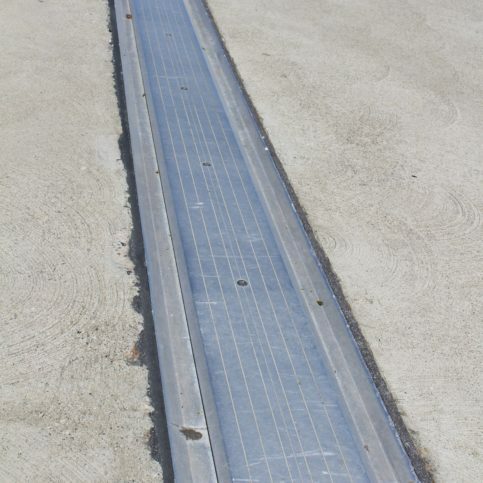 Alcal Specialty Contracting installed this expansion joint in a parking garage. 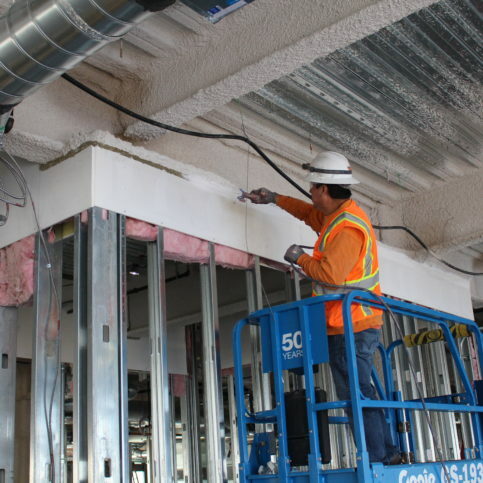 An Alcal Specialty Contracting employee installs fireproofing spray on a commercial building. 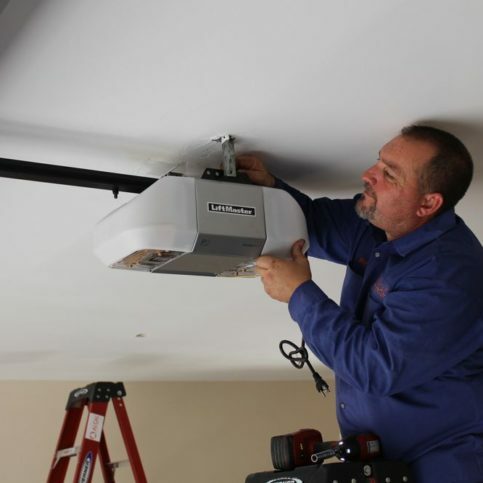 An Alcal Specialty Contracting technician installs a LiftMaster garage door opener. Greg Sutliff is home services division manager at Alcal Specialty Contracting, Inc., a Diamond Certified company. He can be reached at (877) 312-3532 or by email. Long before he was saving the world, Greg got started in the industry by sweeping up jobsites after class in middle school. “As a seventh grader making $3 an hour, I was pretty happy,” he laughs. “Over time, I worked my way up to cutting wood and hammering nails, and I eventually became a skilled laborer.” Following college, Greg went to work for a window company, where he gained a working knowledge of the administrative side of the business. 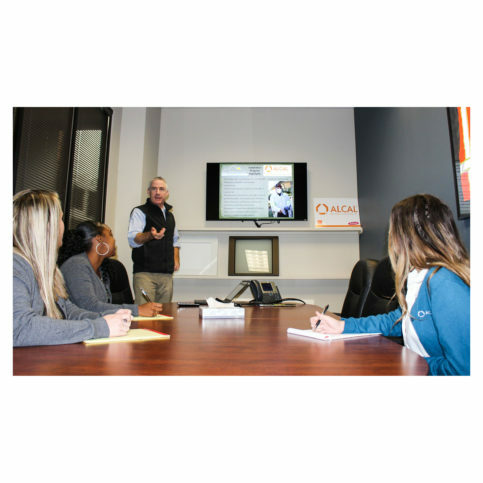 Later, after earning his MBA in Finance and Marketing Communication, he sought employment that would incorporate his industry experience and formal education—an opportunity he eventually found with Alcal Specialty Contracting, where he currently serves as Home Services Division Manager. A: The Harry Potter series. I read all the books when they first came out, and now I’m reading them to my kids. A: Mulvaney’s B&L in Sacramento. Q: If you could be transported to any fictional world, where would you go? A: Either the Star Trek or Star Wars galaxy—one of those complex, panoptical multiverses. Q: Captain Kirk or Captain Picard? A: Olives, sausage, peppers, tomatoes, cheese and red sauce. 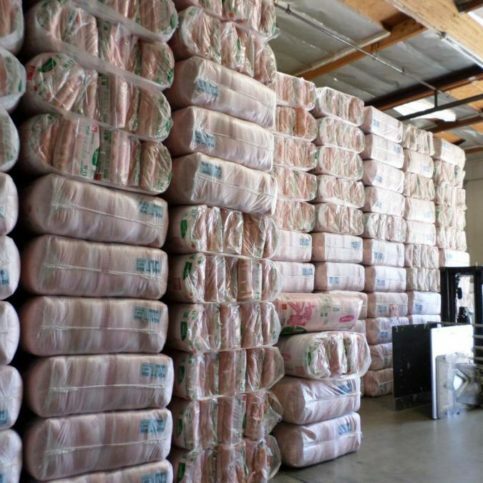 SACRAMENTO — In addition to upgrading your insulation and installing a radiant barrier, a great way to improve your home’s energy efficiency is with attic air sealing. The purpose of attic air sealing is to prevent the transmission of conditioned air (air that has been heated or cooled by an HVAC system) between the attic and the living area below. While this may not seem like a significant issue, sealing the gap between these two spaces can have a substantial impact on your home’s energy output. Most houses contain numerous air gaps between the attic and living space, including spaces between light switches and receptacles; joints where walls meet ceilings; and spaces through which electrical wires, water lines, vents and mechanical equipment enter the attic. While independently insignificant, when added together, these various apertures constitute a considerable source of energy loss. When air transmission is allowed to occur between the attic and living space, a home’s HVAC unit has to work harder to replenish the escaping conditioned air. Consider the following example. On a day where the outside temperature is 100 degrees Fahrenheit, a house’s air conditioning unit will already be working hard to keep the inside at a comfortable 75 degrees. However, if that 75-degree air is continuously “ex-filtrating” from the conditioned space into the attic, the air conditioner will have to work even harder, which means it’ll consume more energy. By sealing areas where conditioned air is allowed to escape, you can reduce the workload of your HVAC unit and save a lot of energy and money in the process. 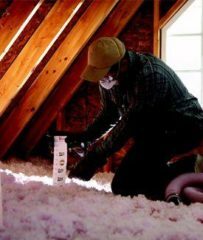 SACRAMENTO — Sarah Rutan: When it comes to insulating your attic, there’s a key component you don’t want to overlook. 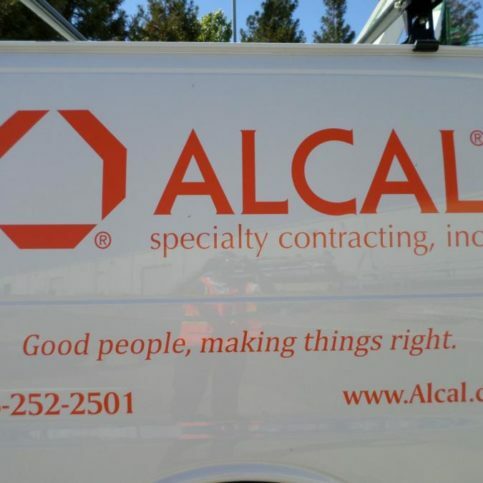 Today we’re in Sacramento with Diamond Certified Expert Contributor Greg Sutliff of Alcal Specialty Contracting to learn more. 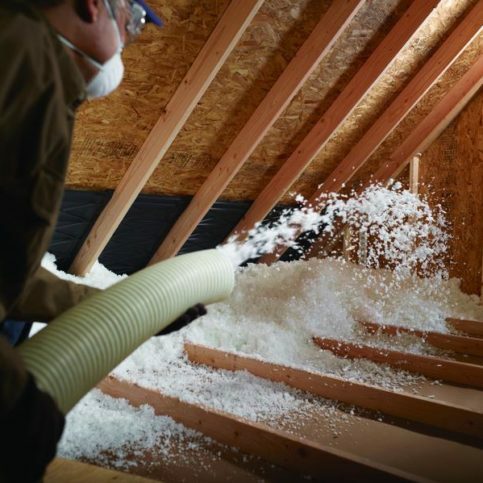 Diamond Certified Expert Contributor, Greg Sutliff: Most homeowners know that to improve the energy efficiency of their home, they need to increase the insulation in their attic. What most don’t know is that air sitting on that attic floor is also a very key component to improving the energy efficiency of the home. A side benefit to insulating that attic floor is the improvement of indoor air quality that will happen once that attic floor air sealing is completed. Particulate matter that’s in the attic can transmit into the condition space of the home. And by air sitting on that attic floor, we cut off that path of transmission. 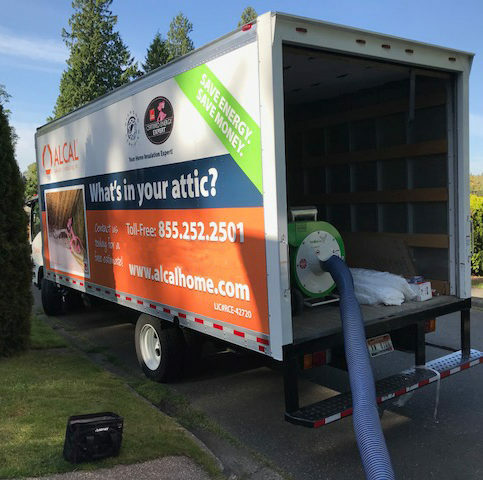 So, with a good attic floor air sealing service, as well as increasing the amount of insulation a homeowner has in their attic, you can derive 2 primary benefits: improved thermal efficiency, reduced costs for heating and cooling, and improved indoor air quality. 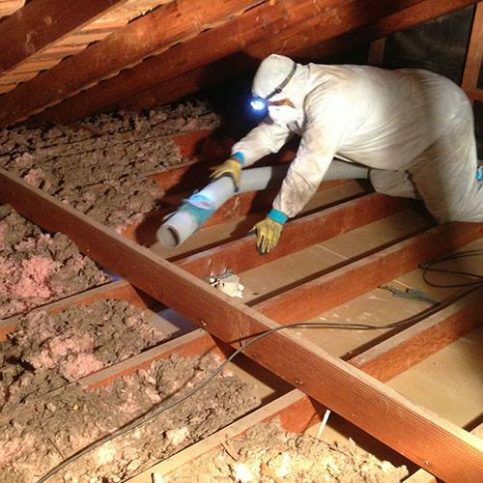 SACRAMENTO — Host, Sarah Rutan: If you’re looking for ways to improve energy efficiency in your home, one of the first places to look is your attic. 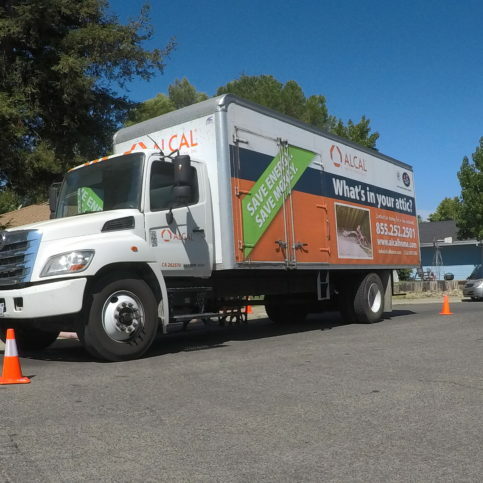 Today we’re in Sacramento with Diamond Certified Expert Contributor, Greg Sutliff of Alcal Specialty Contracting to learn more. Diamond Certified Expert Contributor, Greg Sutliff: Good building science requires a homeowner to think about two main things; attic air sealing and insulation to improve the energy efficiency of their home and to improve their comfort in a way that will yield benefits 12 months a year. Air sealing essentially uses a spray foam to seal up pathways for air to escape from a home. This is normally conditioned air, so heated air in the wintertime and cooled air in the summertime. Loss of air through these penetrations in the attic are essentially a waste of money. So our air-sealing techniques manage to cut down the amount of conditioned air that’s lost and then properly insulating over the top of that will maintain comfort levels in the home and maintain temperature levels in the home that align with how the homeowner has set their thermostat. And so with these two primary energy efficiency services, a homeowner can take great steps to upgrade the efficiency of their home, improve their comfort year round 12 months a year, and reduce their overall energy spend per year and save money over the long term. 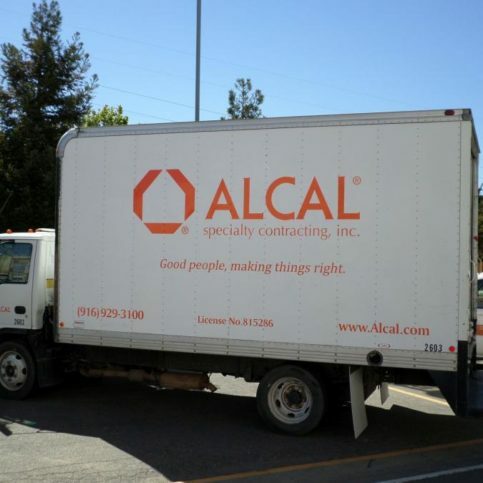 Diamond Certified RATINGS ON Alcal Specialty Contracting, Inc.
Alcal Specialty Contracting, Inc. : Average 9.0 out of 10 based on 146 unique customer surveys of customer satisfaction. I would recommend them to other contractors. They know what they are doing and can handle various tasks. They are very responsive. They get the job done, and if there are any complications, they come back to fix it. 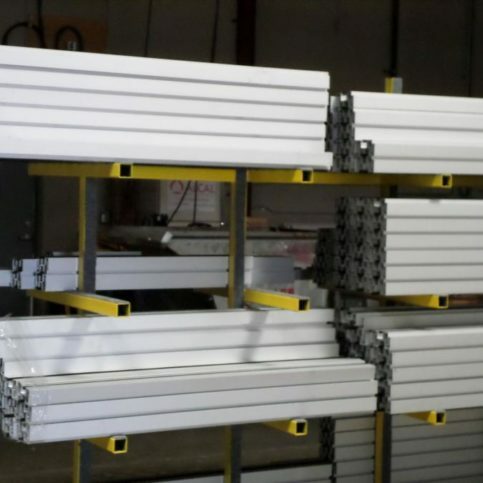 We have used them on several jobs, and they are a quality contractor. We recommend them for all of our garage and insulation needs. Very responsive to any type of estimating or work related request, excellent customer, very professional, and we have been using them for a long time. 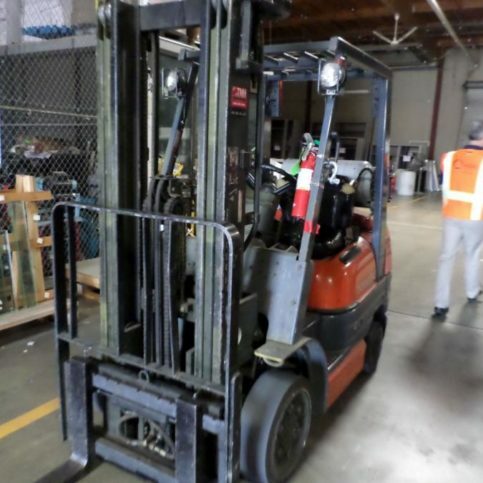 Just their overall customer service and our satisfaction with them taking care of completion of the scope of work and their efficiency with closing out a project. The job is always done on time, and it is great quality. They get the job done when they say they are going to. I would tell them to use their services. They are just quality contractors. They are organized, they show up, and they have a strong, solid work force. I would never hesitate to do work with them. They are at the top of their field. They were responsive when I needed them. I refer them all of the time. They are reliable, and they do a great job. They are reasonably priced. They recommended the best and most economical alternative, which was a whole lot less than I thought it was going to be, and it was a whole lot faster than I thought it would be. They delivered exactly what they said they would deliver. That they do very good work, they are timely, and they have good workmanship. When they gave me a start date, and I had them scheduled, they went ahead and kept me on their schedule and showed up when they said they would. They finished on time, and they provided good quality work. They always try to accommodate our schedule, and they do good work. They are very experienced in what they are doing, and for commercial work, they have a lot of knowledge. 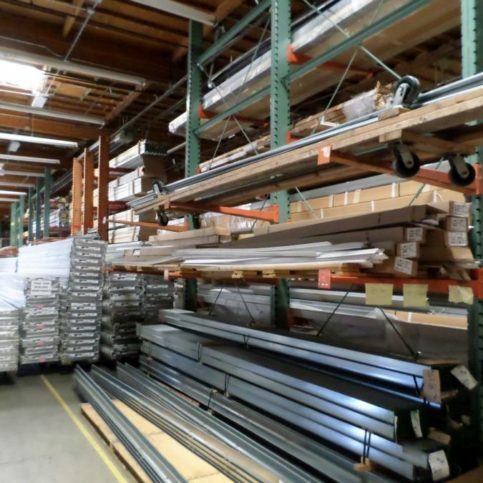 They are very knowledgeable about what needs to be done on a project. Their service is great, and I have worked with Billy a lot. They are a good, solid company, and they do what they say they are going to do. I don't have any complaints, and I always have complaints. Just that they are a good company, we use them a lot. We use them so much that I wouldn't be able to tell you. 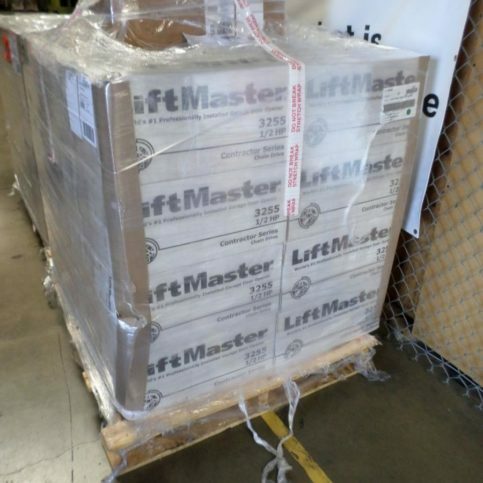 They are our number one go-to company. They are a good stand-up company and easy to deal with. We use them pretty regularly, and they provide good customer service.